Business owners and workers who are already using Telework Solutions know how these services can transform their levels of flexibility and productivity, helping to keep them on top of things in a transitioning business world. Yet others who haven’t experienced telework for themselves are understandably skeptical. #1 Telework is convenient. Snow storm, road construction, sick child—no problem. With Telework Solutions, workers can keep up with work tasks regardless of what barriers prevent them from making it into the office. #2 Telework increases productivity and flexibility. No commute. No office chit chat. No office donut delivery. No jokes of the day from the office clown. When you telework, you deal with less disruptions and can maximize the time you spend working. No lengthy commute means you have more time to work and far less headaches. #3 Telework cuts costs. Can you think of any other way to support 10 workers for $1000? 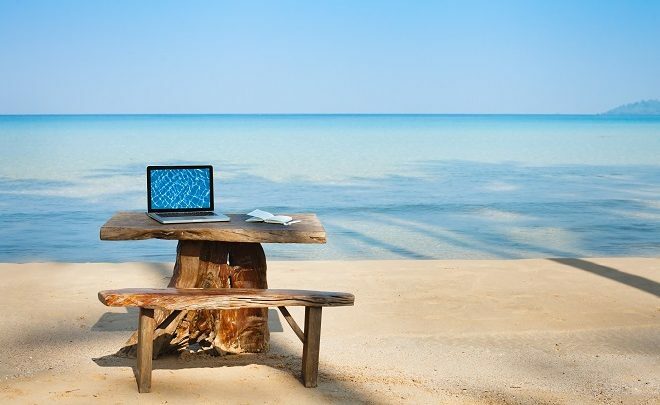 #4 Telework has proven to decrease leave time and vacation time. When people have the additional freedom and flexibility that teleworking brings, there is less need for leave time and vacation. #5 Telework increases employee morale and creates happy employees. Happy employees make productive employees, and telework has proven to bring more job satisfaction to employees. #6 Telework decreases employee turn-over rates. When employees are happy and have the freedom to telework, they are far less likely to seek employment elsewhere. #7 Telework is cutting-edge and gives your company the competitive advantage. Businesses who utilize telework immediately put themselves at the forefront of what is current and progressive in the business world. Clients and customers will notice and appreciate you being at the head of innovation. #8 Telework is affordable. Not only can telework give businesses the ability to operate optimally without costly expenditures on real estate, leasing fees and administrative costs, but the actual telework solutions are affordable and can be customized to work within each company’s budget constraints. #9 Telework comes with built in support and services to take your business to the next level. From access to Washington DC meeting rooms to essential administrative support, Telework Solutions include the services necessary to help your business maximize the teleworking experience and prepare your business for success. #10 Telework is the new way of doing business anytime, anywhere. With the technology available in today’s business world, there is no reason for businesses to continue operating in the same old way- just because that’s the way it has always been done. New times call for new and better solutions. The top businesses today are zeroed in on finding ways to becoming more efficient while utilizing cost-effective methods, and telework fits the bill. To learn more about Telework, Executive Office Spaces, and other cost-effective business solutions visit Metro Offices online at www.metroffice.com.